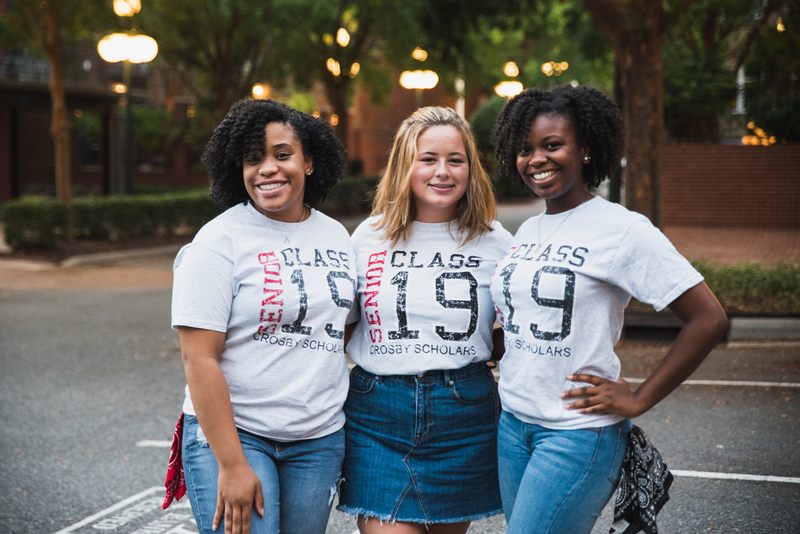 The Rowan County Crosby Scholars program has grown impressively in its first three years, working in Rowan-Salisbury middle and high schools to encourage graduation and post-secondary education. “With over 2,000 students enrolled, we’ve had to adjust our staffing model,” explains Jennifer Canipe, executive director. “We have a goal of providing quality programming for all of our students and began exploring as a staff how best to accomplish that last spring,” Canipe continues. Hiring coordinator positions for the middle and high school programs was ultimately deemed as intrinsic to the program’s success, leading to one of the biggest questions: where would they be housed? The Crosby office is located in the F&M Professional building and the space is donated by F&M Bank. Besides Canipe, Crosby staff members include: Jessica Vess, senior program director; Allison Lee, high school coordinator; Michelle Strong, middle school coordinator; Kirstin Meyerhoeffer, interim coordinator and Betsy Mowery, administrative assistant. Fortunately for the Crosby Scholars program, F&M Bank once again came up with a solution.